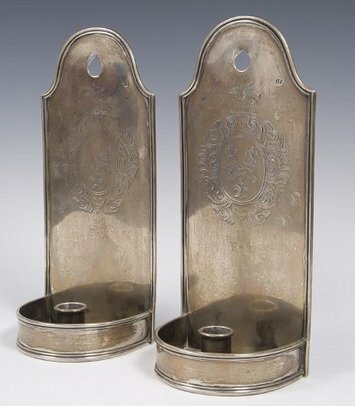 A pair of silver candle holders fetched £74,000 at auction after they were nearly discarded as common wall fittings, the East Anglian Daily Times reported. The precious metal sconces were discovered during the house clearance of a country home in Stratford St Mary, Suffolk. After examining the find, an auctioneer – James Grinter – quickly identified the rare holders, thanks to their engraved coat of arms, which was believed to be that of an Attorney General during Charles II’s reign. An initial valuation of the items came in at £6,000-£8,000 each; however telephone bidders soon smashed this by more than ten times. According to the Antiques Trade Gazette, the winning bidder paid a total of £89,540, including commission, and is believed to be from London. “We hoped to get around £15,000 but as the bidding kept going up it started to feel like it would just keep going on and on,” he added.